Have some fun during June and July by hosting a workshop and Stampin' Up! will give you even more hostess rewards. 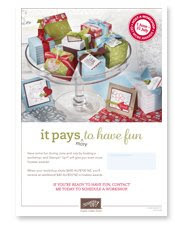 When your workshop totals $600 you'll receive an additional $40 in hostess rewards. That means you will receive a Level 1 or Level 2 stamp set of your choice plus $110 to spend on anything you like from the catalogue. 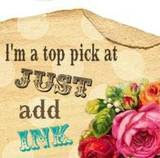 Contact me today to schedule your workshop either in your home or my stamping studio. I have lots of different ideas for workshops to suit your needs.